You all know how much I love handmade soaps. I am back with one more review of Guler Citronella soap. 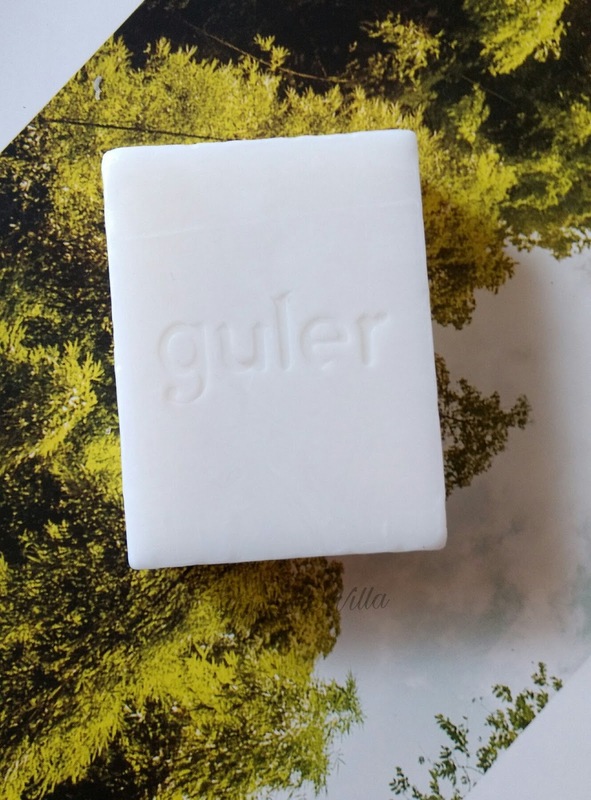 Guler is new launch by Aster Luxury Soaps. Let's head onto the review to see how this soap fares. Citronella oil is also a plant-based insect repellent. I have already reviewed their Apple Lemon variant, so I wouldn't go deeper in terms of packaging. 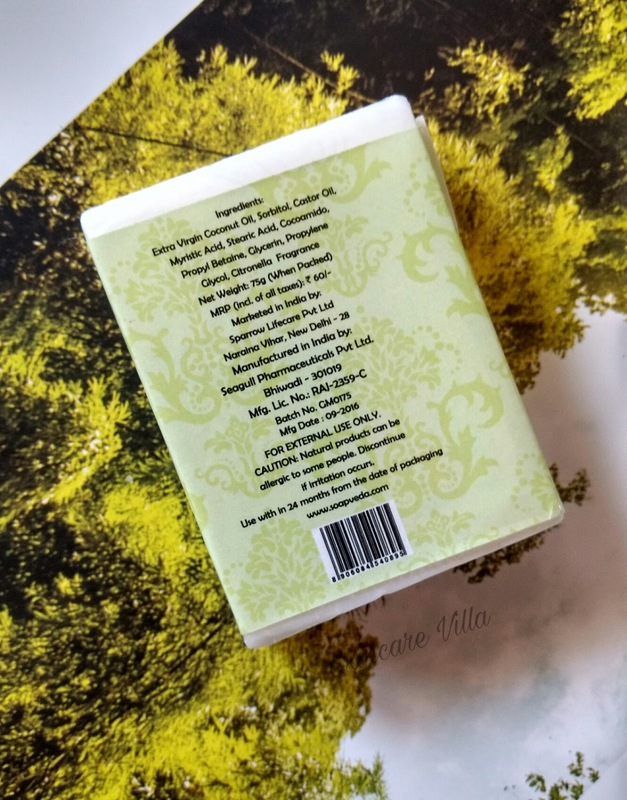 The packaging is simple with product labels on both the sides of the soap. The soap is milky white in colour and rectangular in shape. Basically the Citronella oil is used as an insect repellent, moreover mosquito repellent. The fragrance is very mild and am unable to describe it, but it is surely good for the senses. As stated in my earlier review, the soap lathers well and creates a frothy foam. The soap cleanses the skin quite well and makes the skin feel squeaky clean. The fragrance is not at all lingering, just the way I like. The soap gets washed off easily as well. The soap is value for money according to me as it is decently priced and performs a good job. Price, shelf life and availability - 60 INR for 75 grams with a shelf life of 2 years. Available on Aster Luxury website. 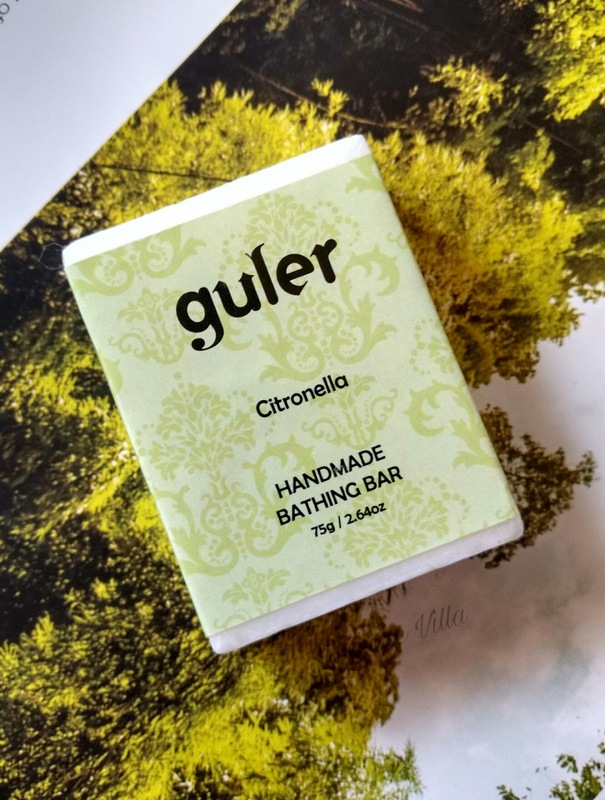 Yes I would recommend the Guler Citronella soap for it's effectiveness and decent price. However I cannot comment on the mosquito repellent part of the fragrance as I haven't used it keeping that in mind. The soap is a good option to try out for handmade soap.